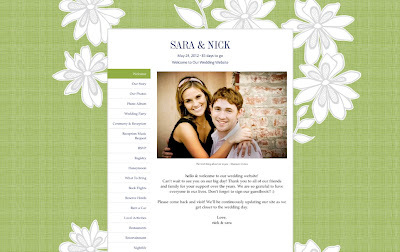 We're so excited to show you the latest in our series of twelve wedding website templates—designed to match a selection of our Vera Wang wedding invitations—creating a seamless wedding planning experience for couples. Hosted by Wedding Wire, these websites are free and provide 100 MB of storage—plenty of room for uploading music, photos, gift registries and more! 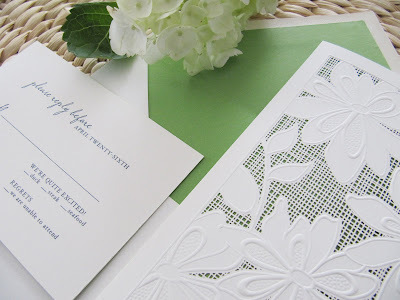 Celebrate your spring, summer or garden wedding with a whimsical website that matches our Vera Wang Garden Lace Invitation. 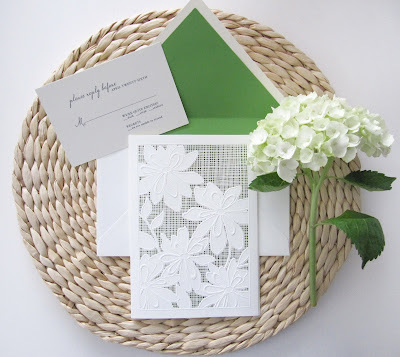 Inspired by Vera's ready-to-wear and bridal collections, Garden Lace combines gorgeous, embossed flowers with an intricate lace that is carefully laser-cut to reveal the perfect, grassy-green color. This innovative and fresh design comes in six colors choices. 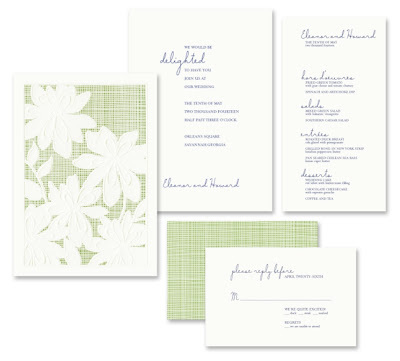 And inside, a playful combination of fonts add just the right touch to your garden-themed wedding. We've created matching reply cards and menus, too! Please note that our personalized wedding promotion runs through April 2nd.